For fast organizations who thrive on growth and building cultures of human achievement, SenseiOS is a family of work apps designed to engage people while helping them to communicate, orchestrate work, and make better decisions. 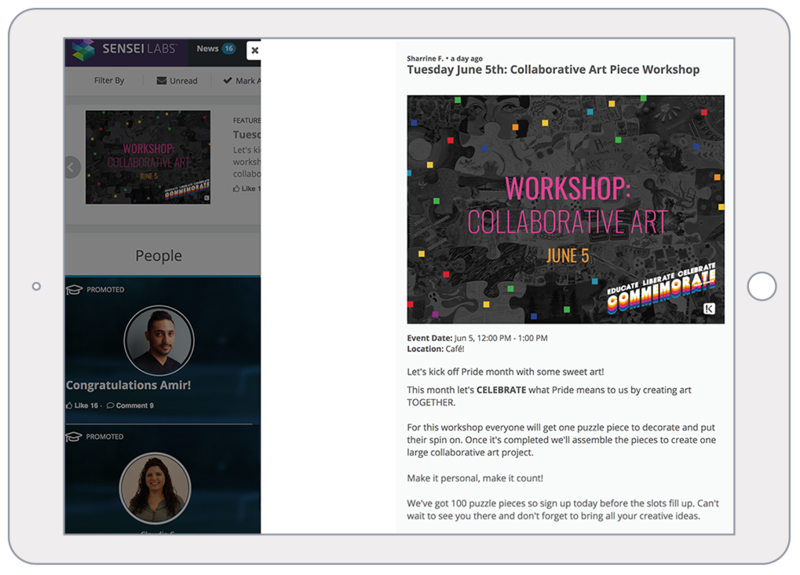 Completely configurable and mobile responsive, with dedicated Android and iOS apps available, SenseiOS rethinks how individuals, teams, and companies get work done. SenseiOS uses a simple mechanism to model sophisticated processes, streamlining how teams manage their workflow. 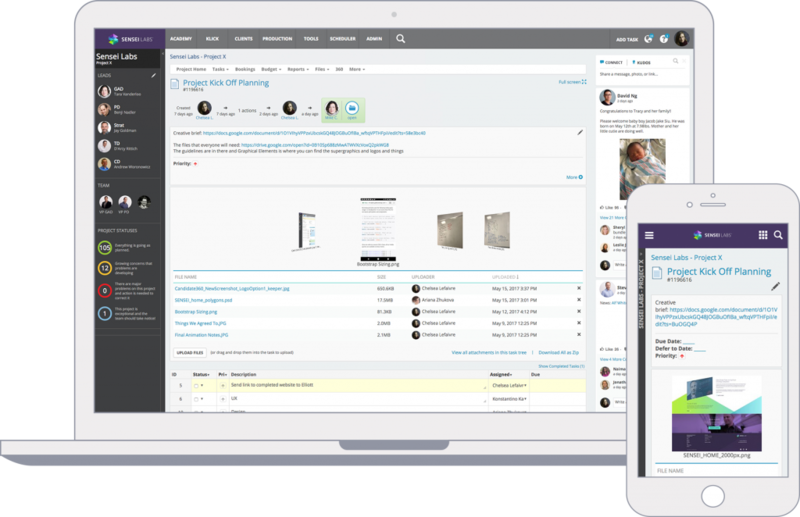 By bringing the way people work into the digital era, SenseiOS increases collaboration and accountability and frees your team from the burdens of meetings, emails, and a lack of transparency. As teams grow, the work dynamic changes dramatically. It can become difficult to develop close ties and share knowledge, to maintain a consistent quality of work across teams, and to deliver the personalized professional development each team member needs. 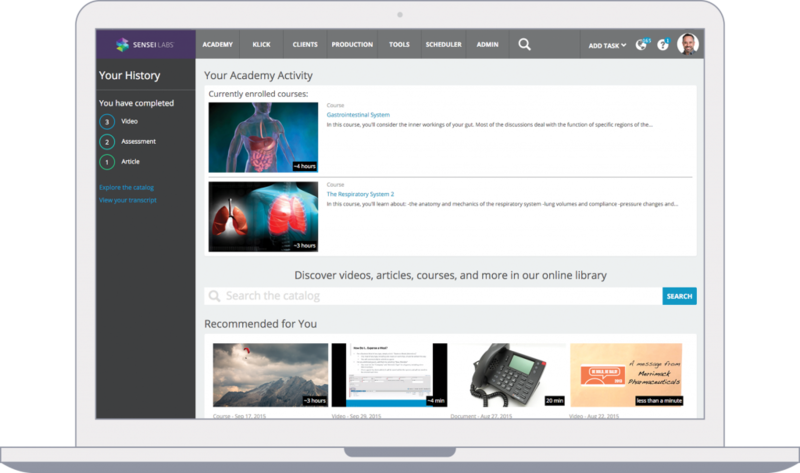 Discover how SenseiOS’ lightweight learning management system puts the power of knowledge sharing directly in your team’s hands, giving you a faster, more agile way to make connections and spread best practices. SenseiOS gives leaders the right information they need to make the critical decision that drive business forward. Its frameworks encourage personalized recognition that have significant impact on your team’s focus and enable them to perform at their best. Up to 63% of people identifying as disengaged at work. This can cause higher attrition rates, toxic work environments, poor team morale, and a huge amount of waste and cost. Improving engagement has tangible, bottom-line implications, with engaged teams being 22% more profitable, with up to 65% less attrition. To be competitive, you need engaging tools that help you to promote your culture, while attracting and retaining the best people for your team. 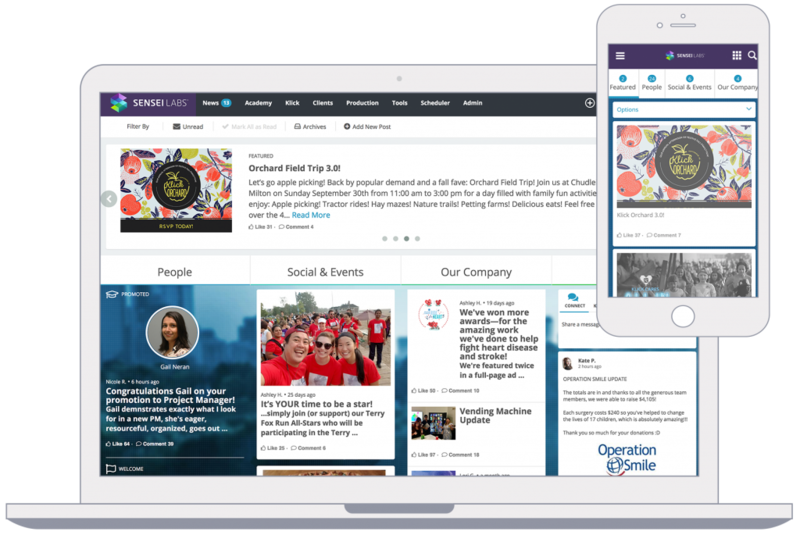 For fast organizations who thrive on growth and building cultures of human achievement, SenseiOS is a family of work apps designed to engage people while helping them to communicate, orchestrate work, and make better decisions. Discover just a few examples of how teams have used SenseiOS to accelerate their growth and culture. The security, confidentiality, integrity, and accessibility of your data is central to your business operations and success. And we treat it that way. See how we ensure the security of your data. It’s through customization and all-in-one shared data layer that the benefits of SenseiOS really shine. 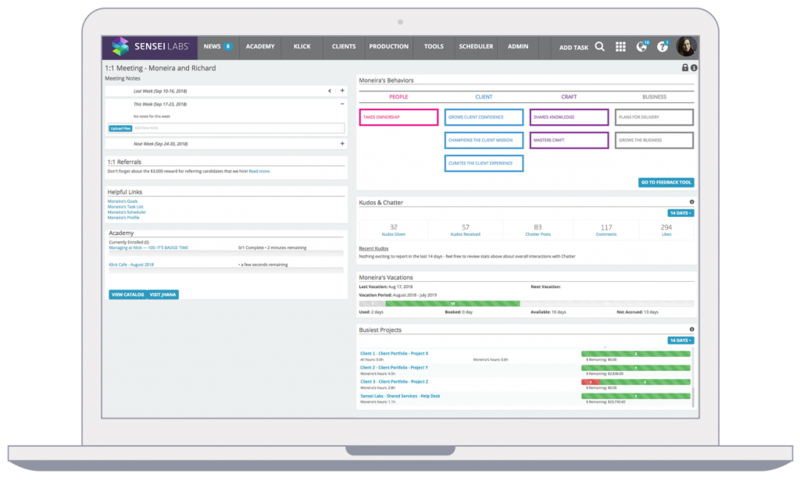 Surfacing data from across the platform and across the organization to put your team’s priorities front and centre. We have an existing palette of more than 25 different widgets available, and we’re always adding more. Customize your instance with the widgets that put the info people need at their fingertips.